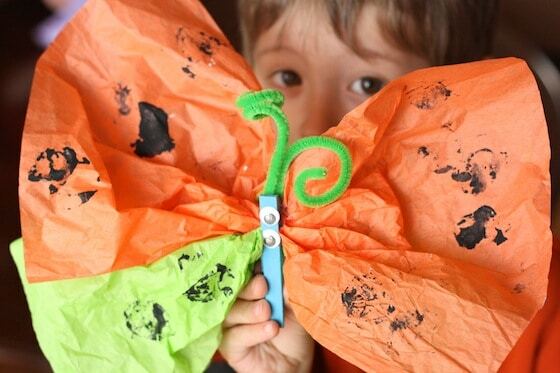 These tissue paper clothespin butterflies are easy to make, but they’ll provide your toddler with lots of fine motor development, sensory fun and an all-time favourite activity – stamping! The temps are finally warming up here! Spring is on the horizon and winter may well and truly be behind us. 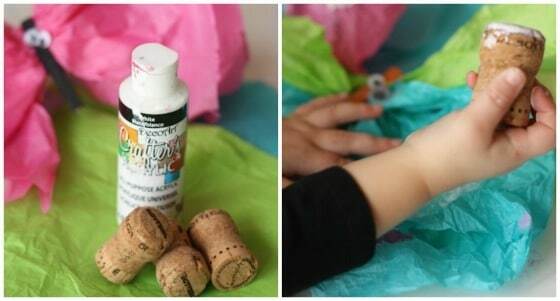 We’re so happy to be focusing on spring crafts again! 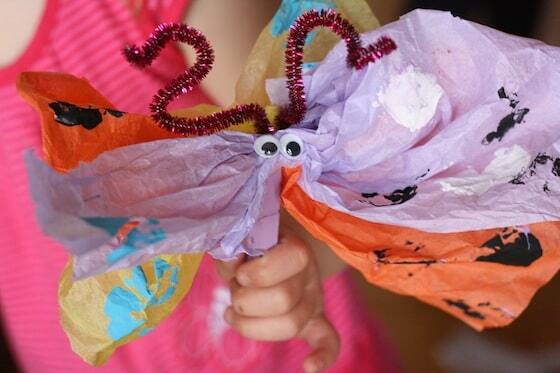 We’ll be making birds, rainbows, bugs and flowers, but we’re kicking off the season with this easy and adorable butterfly craft. 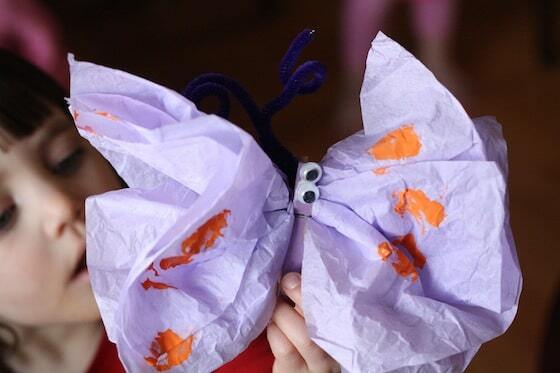 Did you see the simple paper towel butterflies we made the other day? 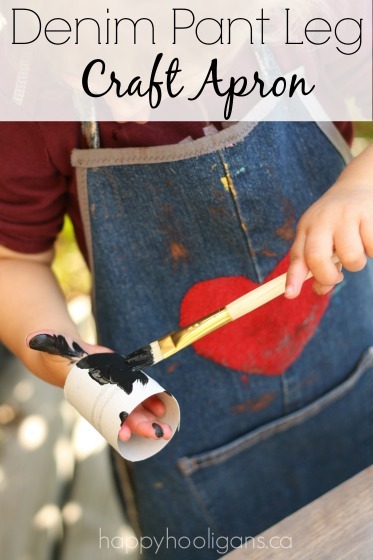 These are even easier to make, but the process still has enough steps to make it fun and interesting for little ones. Before we started, the hooligans played around with the clothespins. I love using wooden clothespins for fine-motor development. We always have a basket-full on our back deck, and the hooligans always enjoy playing with them. Opening and closing the pegs requires strength and co-ordination, and little ones love clipping them to edge of the basket. The older hooligans like to use them for hanging face-cloths and sun-hats to the small clothesline I’ve set up for them beside the playhouse. 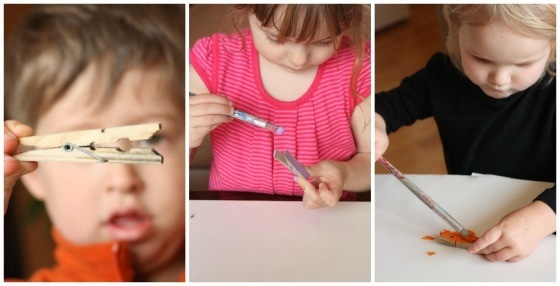 Each hooligan painted their clothespin in the colour of their choice, covering all sides and surfaces of the peg. 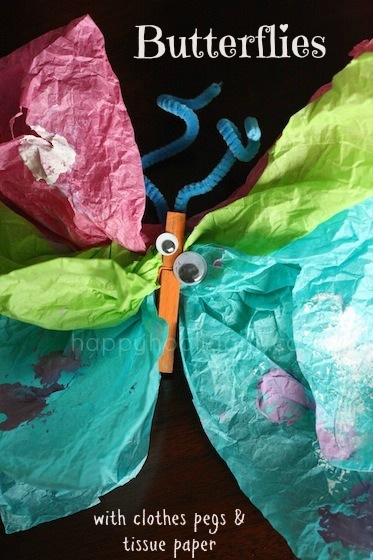 When they were dry, we added our tissue paper wings. I cut the tissue paper into 12 x 8 (approx) rectangles. You can go smaller than that, and you’ll get a smaller butterfly, but don’t go much larger, or there will be too much bulk for the clothespin to hold. For the wings, gather your tissue paper up by cinching it in the middle. 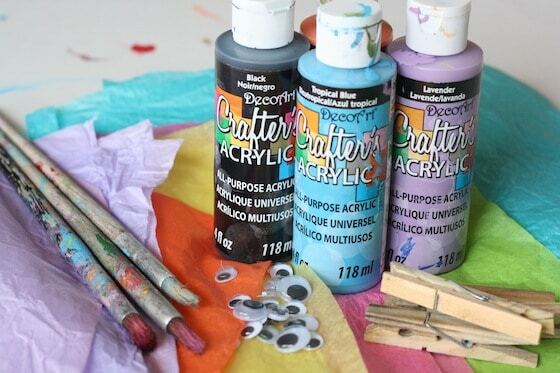 You can use 2 or three sheets of the same colour, or you can go with a few different colours. 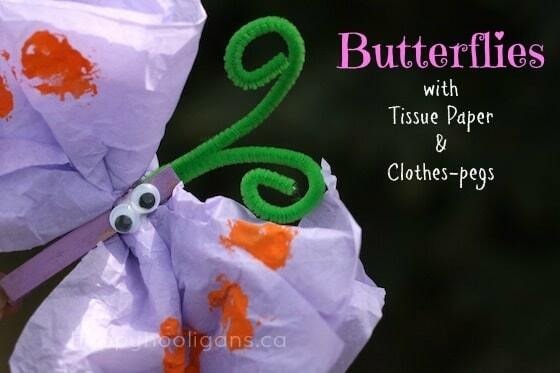 Now clamp your clothespin around the cinched part of the tissue paper, and fluff the wings up a bit. 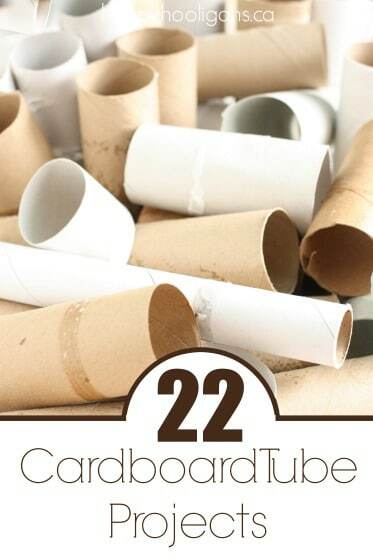 Next, the hooligans glued googly eyes to their clothespin. Originally I thought we would stop there, but then I realized we needed antennae, and I thought it would be fun to add some interest to the wings. To decorate the wings, we dipped wine corks into a bit of paint, and stamped the tissue paper with them. Then we folded a pipe-cleaners in half, and wound each end around a finger to curl them. We tucked the folded end of the pipe-cleaner into clothespin to put the finishing touches on our butterflies. Wouldn’t these look cute hanging in a window or in a child’s room? If this is your first visit to Happy Hooligans, be sure to pop over and LIKE us on Facebook! I update my page daily with our crafts and activities, along with others that I collect from around the web. You can follow us on Pinterest too! 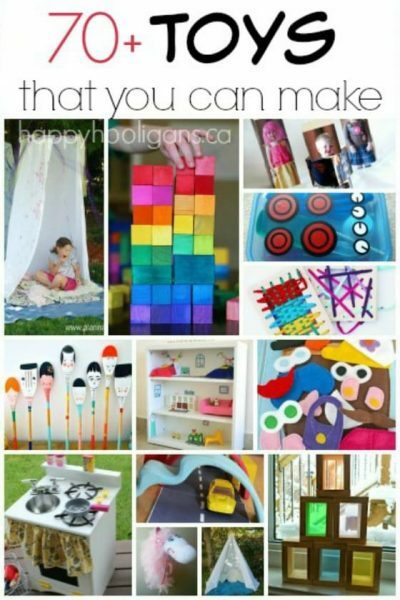 You’ll find over 80 boards dedicated to kids arts, crafts and play ideas, as well as several personal interest boards. Thanks, Jacquie! 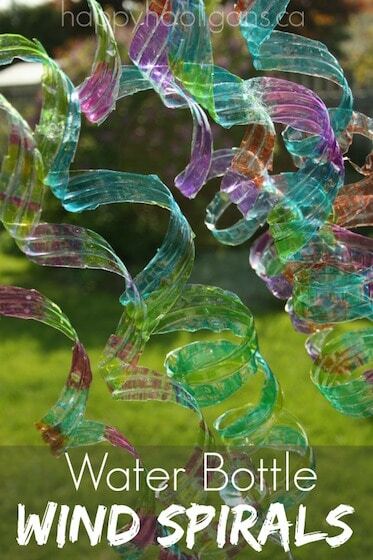 I just linked up both of our butterfly crafts from this week. Your link is really growing, and you have quite a collection of ideas there! I just pinned a bunch! I ove them! They are so cute! Beautiful! Thanks for the ideas. Happy Spring! 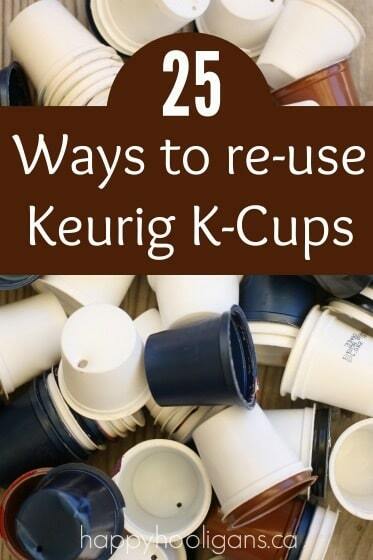 Thanks for linking up at Discover & Explore this week! Just love the colorful guys – pinning to our feature board! Thank you for sharing your wonderful art ideas! I work at our Public Library and do story time for the Children and I am always looking for new creative ideas. You’re so welcome, Debbie! I’m glad you’re finding some ideas on my site to do with the kids in your programs!